6 Pretty Skirts... Perfect For *Your* Frame! It's that time of the year again - every bonafide fashionista from the country and abroad gathers to celebrate the Amazon India Fashion Week. 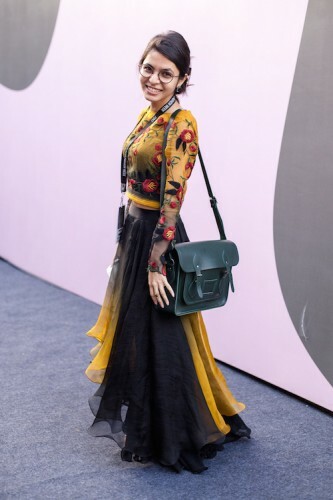 Decked up in their sartorial best, these women followed the theme of this week - #IndiaModern - to the T. And as summer approaches, we decided to bring you some of the coolest skirts these on-trend stylistas sported at the AIFW. Draw inspiration and make heads turn. Dolly Singh Long skirts dominated the runway this season and off it, they were seen in abundant bursts of colour. Take this pretty number for example, it ends right below your calves and the pleats add volume to your lower body. Pick something like this if you’ve got a narrow frame and would like to add the illusion of curves. Pick a fitted top to go with it (as opposed to a boxy one). Tomoko Got athletic legs and would like to flaunt ‘em? 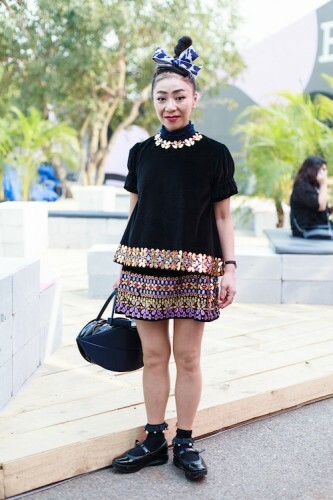 A shorter hemline is your best bet. While bodycon skirts are very last season, a more A-line silhouette makes your legs look slimmer (yes, really!). Women with a straight body frame can pair these skirts with fitted tops. Neha A skirt that ends right at your knees is great for women who don’t want to flaunt too much thigh. Carrying post-festive cellulite on your upper legs? Make sure the skirt isn’t too fitted. This pleated, A-line skirt is just perfect to conceal those problem areas. Amrita Kartikaye A flowy, floor-grazing skirt is perfect for summer. You can pair it with your tee shirts and crop tops and also give it a twist by pairing it with your choli tops. What’s great about this skirt is that it complements almost every body type.